Open to competitors who are 50 years or over on or before the tournament date. 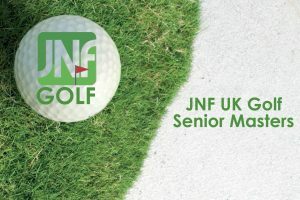 To sign up, download an application form here and post it back with your payment to Rami Harel, JNF Golf, Mountcliff House, 154 Brent Street, London NW4 2BF. Or email your application form to rami@jnf.co.uk and pay online using the link below. All proceeds go toward JNF UK projects in Israel.